Deliciously creamy Baked Mac & Cheese, loaded with sour cream, bacon, and chives and topped with buttery bread crumbs. 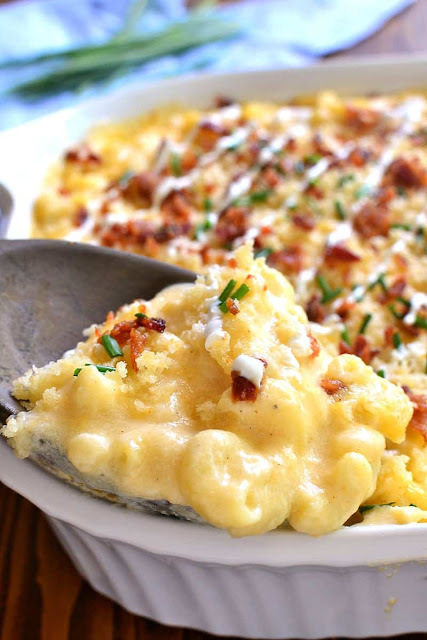 The BEST mac & cheese ever....sure to become a family favorite! 0 Response to "LOADED MAC & CHEESE"